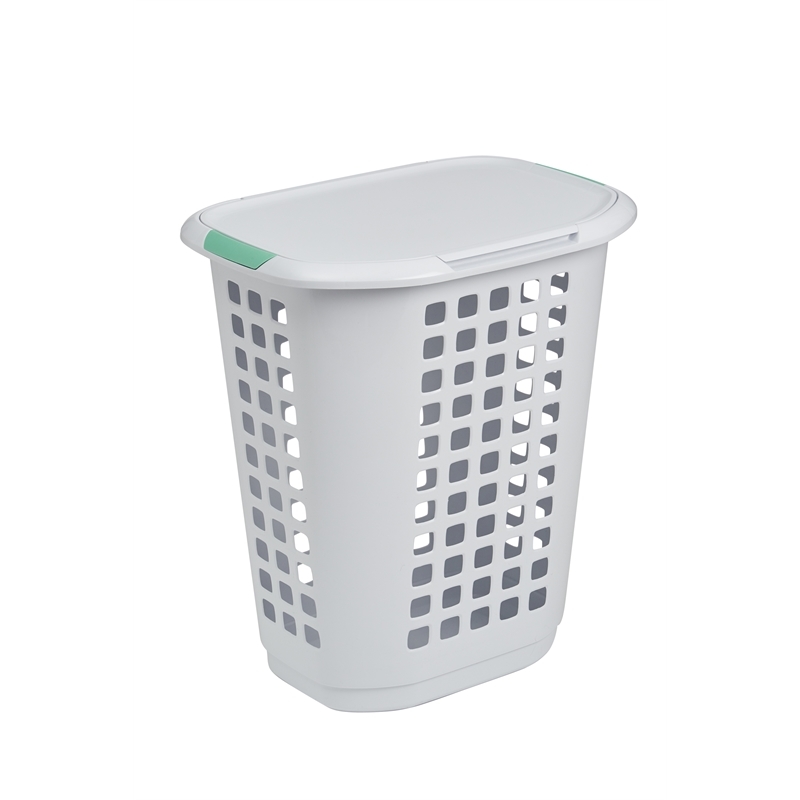 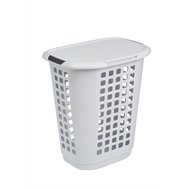 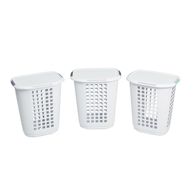 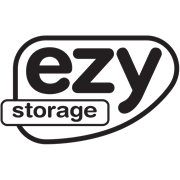 Ezy storage laundry hamper with lid has easy grip handles on the rim that allow for comfortable carrying. 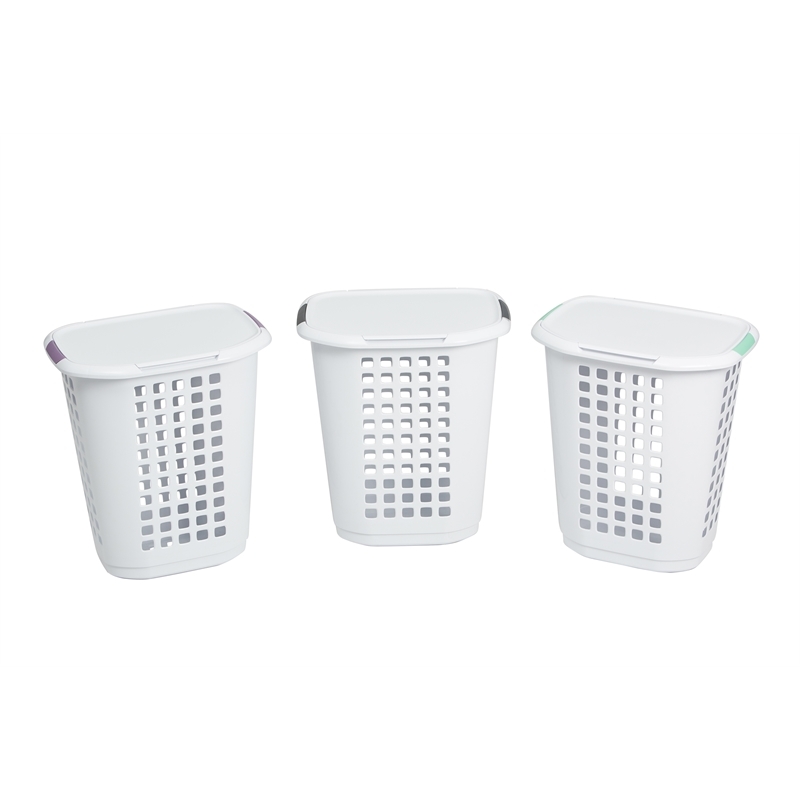 The removable plastic lid conceals contents and the extra aeration helps reduce odour. The smooth finished trim and interior helps prevent snagging delicate items and when closed, the lid doubles as an extra folding surface.